It’s the second conviction in a case that rocked the tight-knit Satmar community. 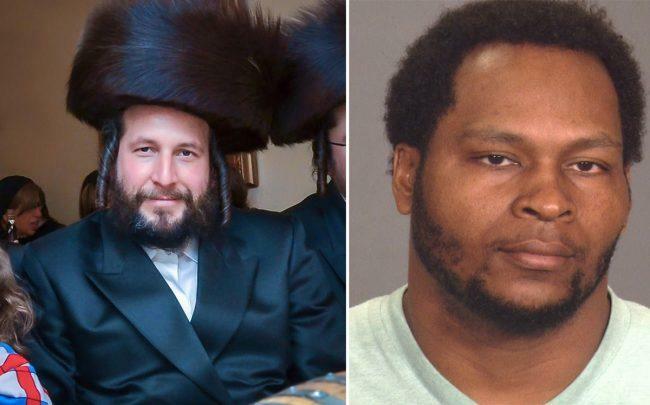 Erskin Felix, a 40-year-old man from Crown Heights, was found guilty Monday for the kidnapping and murder of Menachem Stark, a controversial landlord and developer in Williamsburg and Greenpoint. He was convicted of first-degree kidnapping, second-degree murder and tampering with physical evidence, Gothamist reports. Felix’s cousin, Kendel Felix, was convicted of first-degree kidnapping and second-degree murder in September 2016. He is awaiting sentencing on that case. Both Erskin and Kendel Felix had previously done construction and contracting work for Stark. The two men abducted Stark outside his Williamsburg office during a blizzard in January 2014. They forced him into a minivan and “bound his arms and legs with duct tape, taped his mouth and placed a ski mask over his head,” according to a press release from Brooklyn DA’s office on the conviction. The Felixes initially planned to hold Stark for ransom, but he died as result of his restraints. His burnt body was found in a dumpster near a Great Neck, Long Island gas station two days later. Erskin Felix will be sentenced on May 1, and faces 25 years to life in prison.